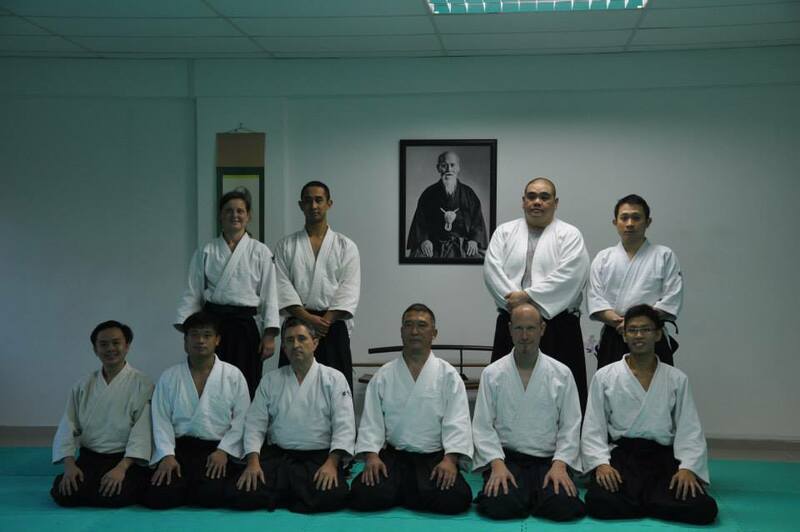 UCL Alumni Aikido Group is working with Bloomsbury Aikido Club to provide opportunities for UCL students, alumni, staff and members of the community to practise Aikido. 1. 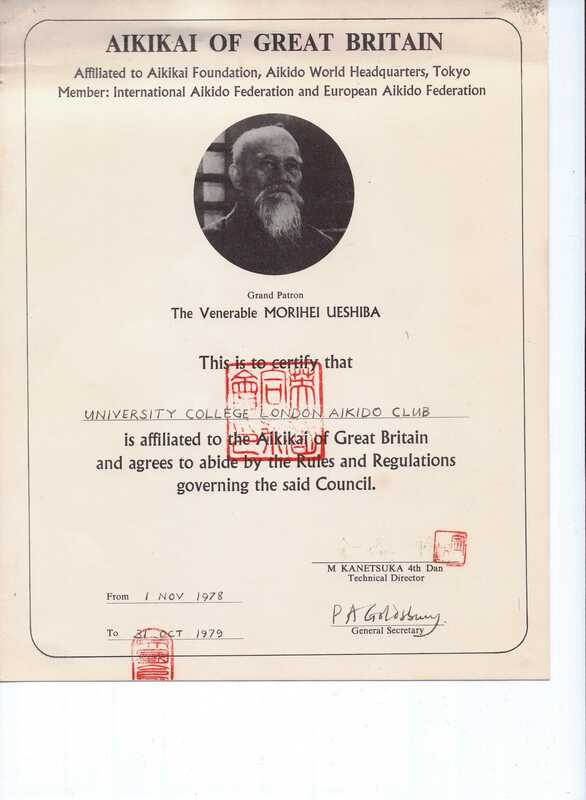 Please register / re-register with UCL Alumni. This can be done online on https://aoc.ucl.ac.uk/alumni/login and click on ‘New user registration’. You will need your Alumni ID Number, which has recently changed format due to moving to a new Alumni system. This is now a 10 character number starting 8-1 and you can find it on any recent communication from the Alumni team. 2. Once registered, log in to the UCL Online Alumni Community. The best way to do this seems to be to go to the https://aoc.ucl.ac.uk/alumni/alumni-community page and click on ‘networking area’ then log in via Linked In or Facebook using your usual Linked In or Facebook username and password. 3. Go to ‘Pages’ to find the Alumni Aikido Group page and click on ‘Follow’ to join the Group. Non-Alumni who have associations with the club at UCL may join as Friends, just send an email to the Contact for the Group. UCLAAG Associated Clubs: Group members may register their Clubs by emailing Contact as above, see below. 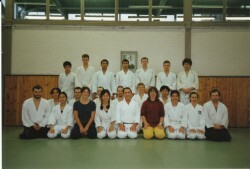 UCL Aikido Club Class, Spring 1994 . Since the earliest days of the student UCL Union Aikido Club (founded 1976) through the Club’s evolution (in 2004) as a UCLU Bloomsbury Fitness martial arts activity to the revival (2014/15) of the student UCLU Aikido Club, UCL alumni and staff Aikido practitioners have played a significant role in providing continuity, experience and teaching. 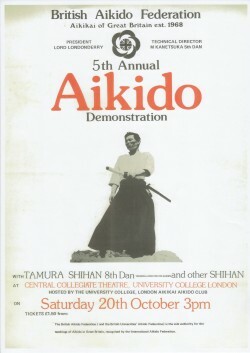 The UCL Alumni Aikido Group was established in 2013 in recognition of this. 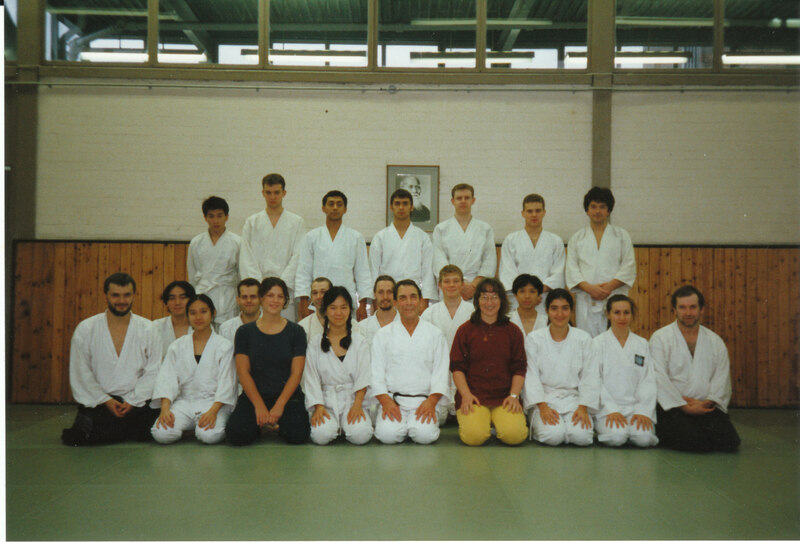 The Group would like to hear from UCL alumni and staff from anywhere in the World, who trained (or are training) in Aikido at UCL. 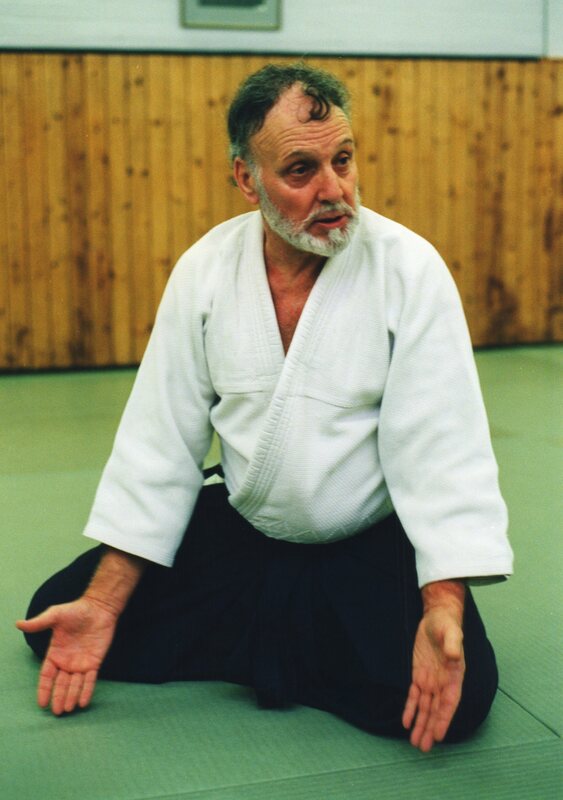 It would also like to hear from those Alumni who have developed an interest in Aikido, whether physical or philosophical and cultural, since their time at UCL. Friends and family are welcome to join in the Group’s events and activities. 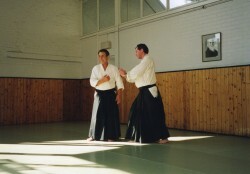 The Group functions both as a social organisation and as an organisation for the practice of Aikido. Members do not need to be currently active practitioners. 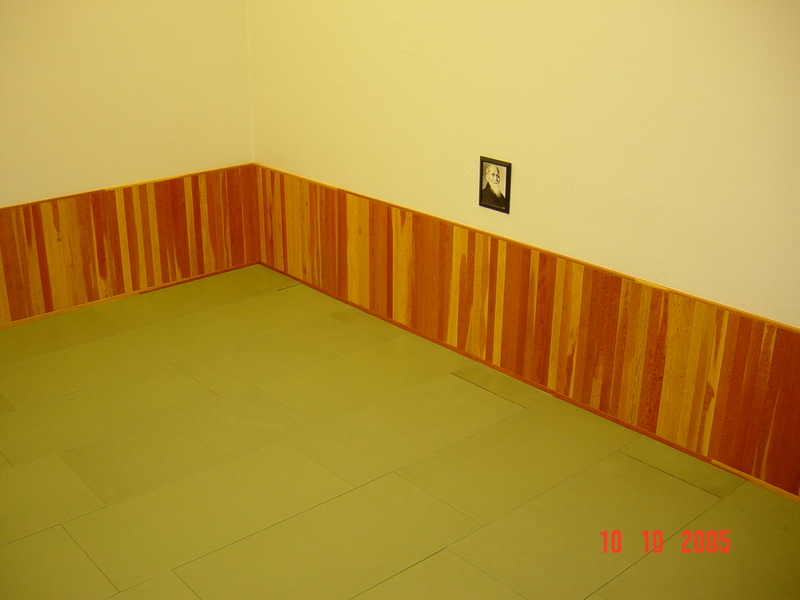 For those who are active practitioners, the Group is ‘inter-denominational’. 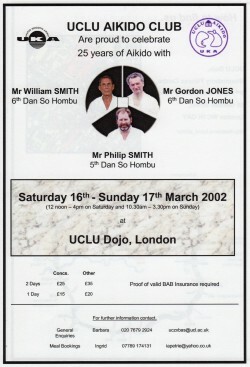 Members of all Aikido associations in any country are welcome; you just have to be a member of the UCL Alumni or a Friend. 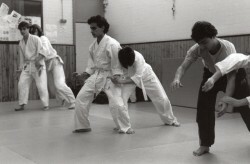 To continue to provide an opportunity to practise Aikido at the UCL Union’s Bloomsbury Fitness centre (originally UCL Union, CCB) where students, alumni, staff and members of the community have been training since 1975. Beginners and practitioners of all levels are welcome. 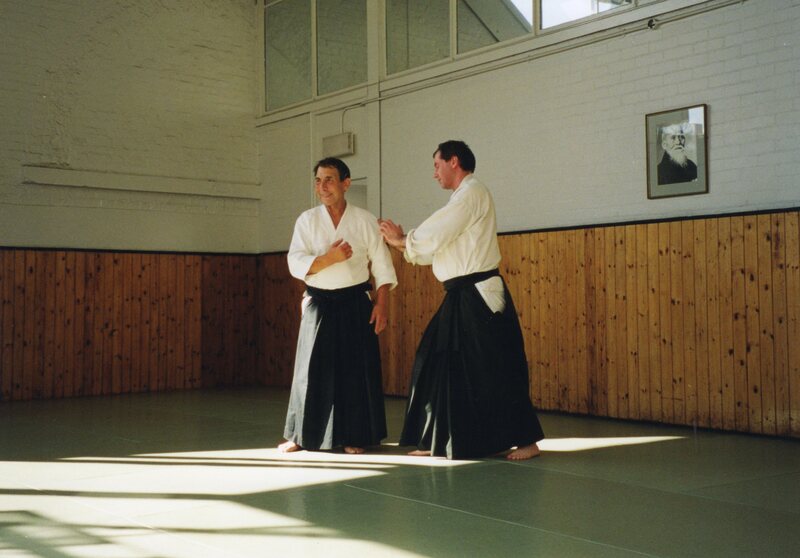 We offer UCL students the opportunity to study, practise and develop themselves in Aikido with the teaching, guidance and support of the more experienced alumni. 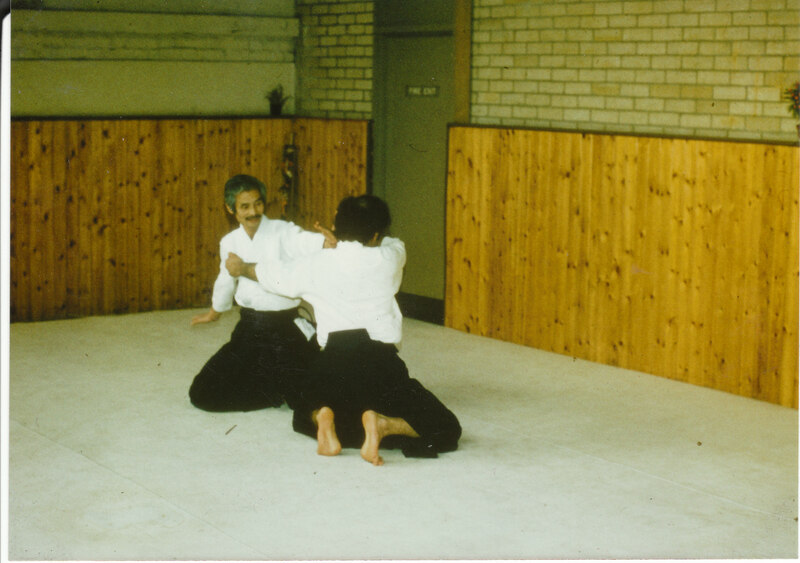 For information on joining and booking an Aikido class at the Bloomsbury Fitness centre, please go to the Home Page of this website. 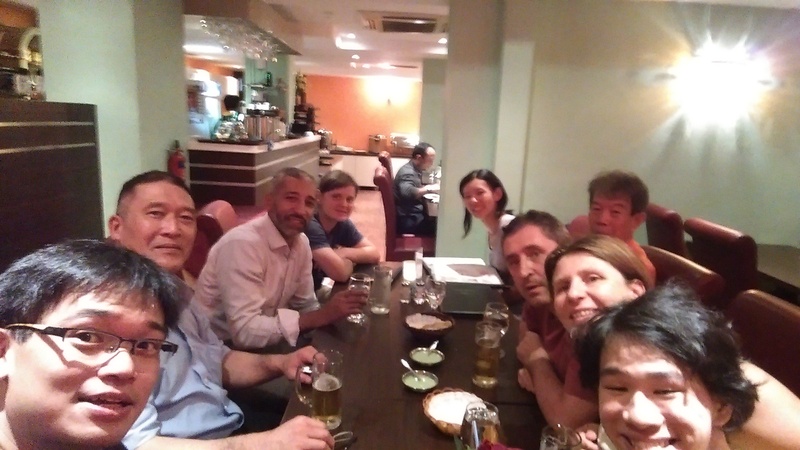 To establish a global network of UCL Aikido Alumni for the purpose of keeping in touch with each other socially as well as for training. 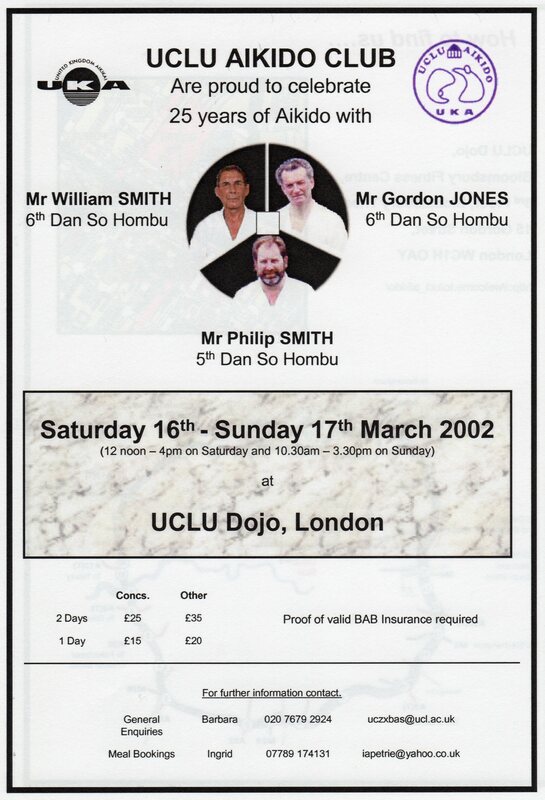 UCL Alumni Aikido contacts would be able to provide introductions to other members of the group when visiting Dojos in other parts of the world. 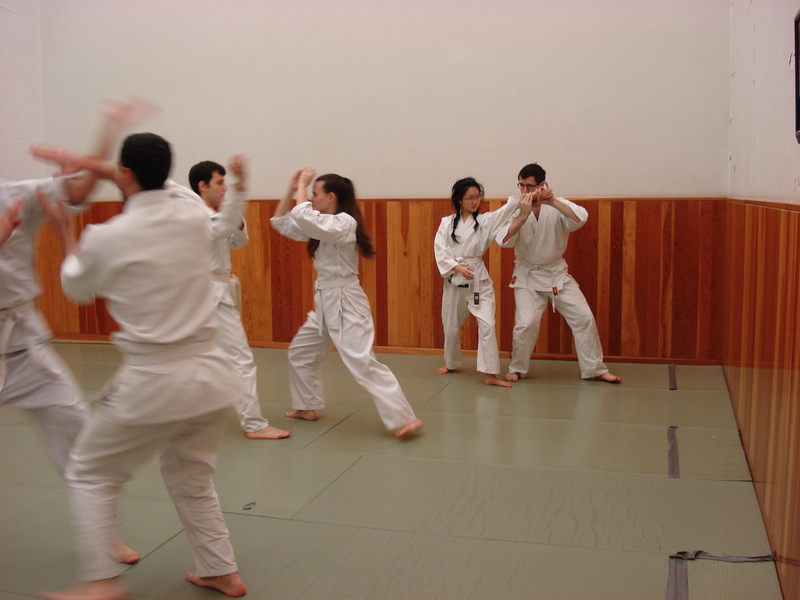 Where a member of the Group is also involved in running a Club, that Club can register with the Group as an Associated Club if it would like to involve itself in, or organise, any UCL Alumni Aikido Group activities and events. • To keep in touch with each other via email and social networks. 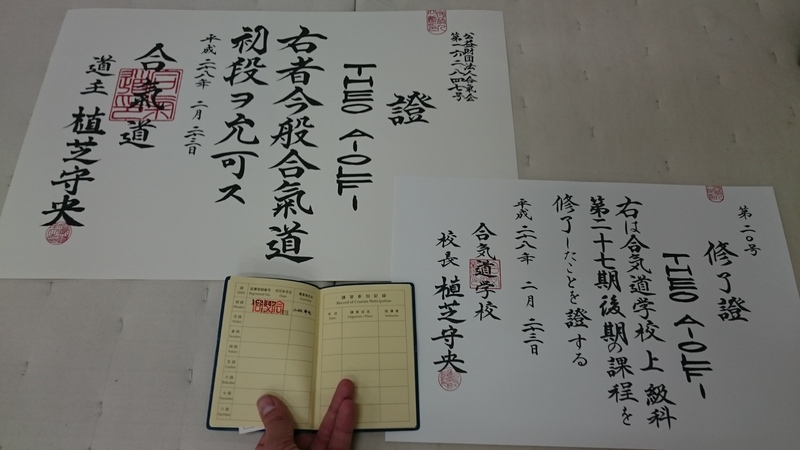 • To arrange gatherings alongside key national and international Aikido events. 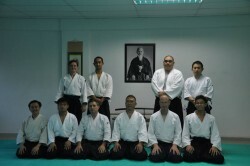 • To hold an Annual UCL Aikido Alumni cultural day, at UCL. • To hold courses and social get-togethers periodically. 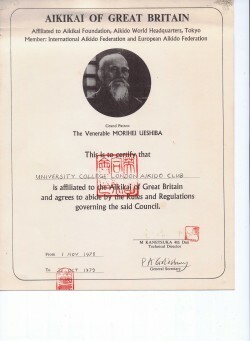 Alumni and Friends are invited to send in your photos, reminiscences and any other information you have on the Club’s history to add to this page, the “Who We Are” page, to the UCL AOC Alumni Aikido Group page and to the UCL Alumni Aikido Group and Friends Facebook group page. 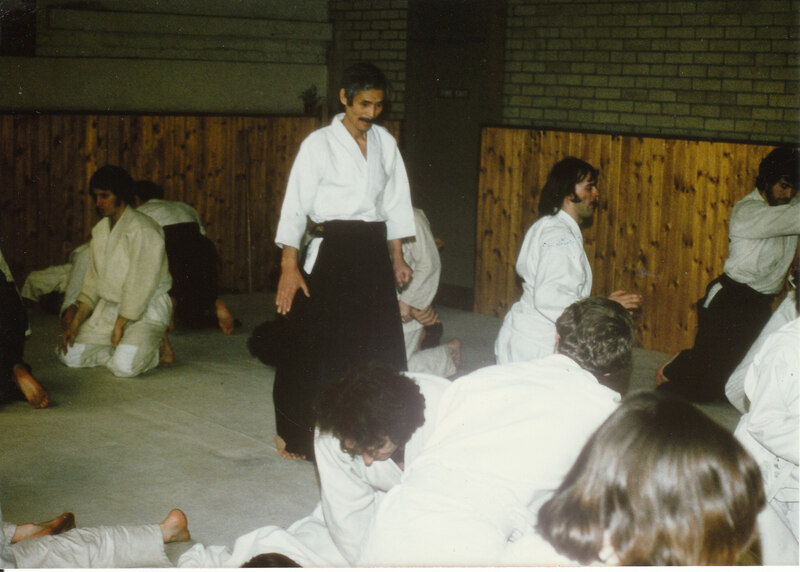 Visiting international teacher M Sekiya Sensei at UCL Dojo, March 1978. 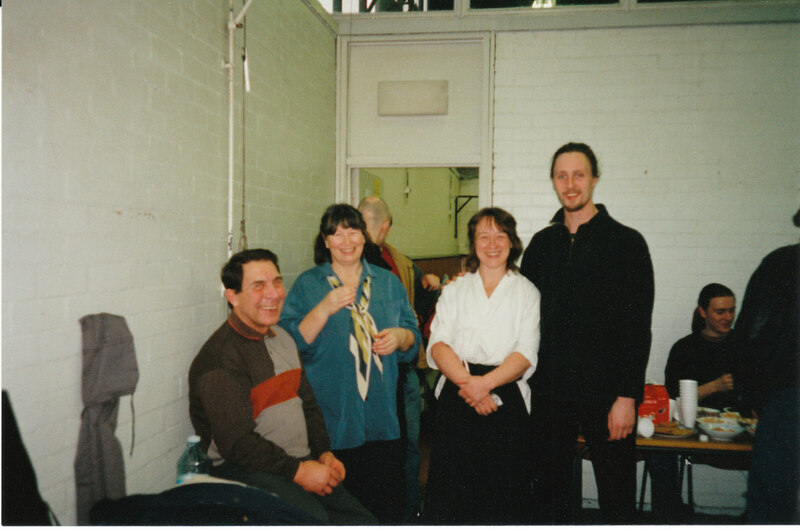 Visiting international teacher Mr Ken Cottier at UCL Dojo, 1998. Visiting international teacher Mr William Smith MBE, 2002. 1 and 2. Course 25 January 1997… 3. 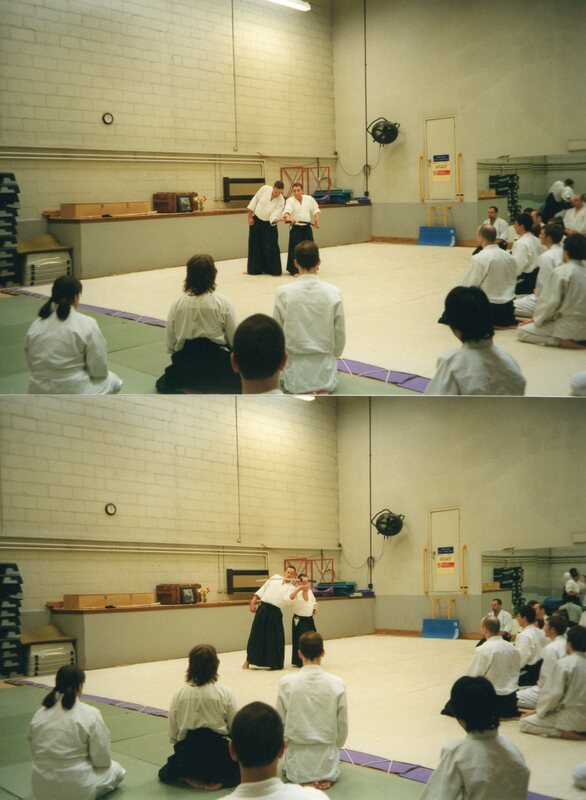 Course 15 November 1997. 1. UCL Aikido Club Officers 1995. 2. Chin-Tao visiting from Taiwan, March 2014. 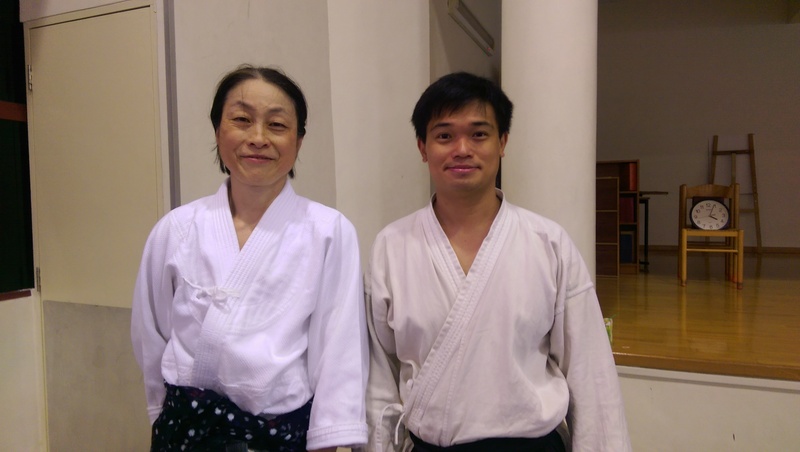 Sam achieving Sandan, 10 April 2015 in Singapore. Theo (Masters student at UCL, 2014-15) achieving Shodan at Hombu Dojo, Aikikai Foundation, Tokyo on 23 February 2016. There had always been a traditional Dojo in the Central Collegiate Building (CCB), now known as the Bloomsbury Building until 14 December 2013, when the new BF management demolished it to replace it with a ‘Multi-purpose Room’. The martial arts clubs and activities were not consulted and were not notified until 4 days prior to the demolition. 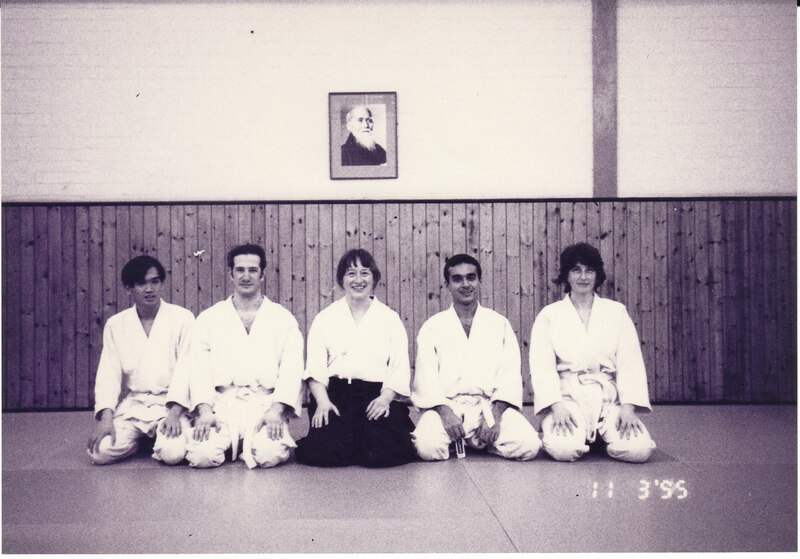 Bloomsbury Aikido club and 4 other UCLU Dojo-using clubs initiated a petition to restore the permanent traditional Dojo. A formal complaint was sent on 3 June 2014 to UCLU Sabbatical Officers . 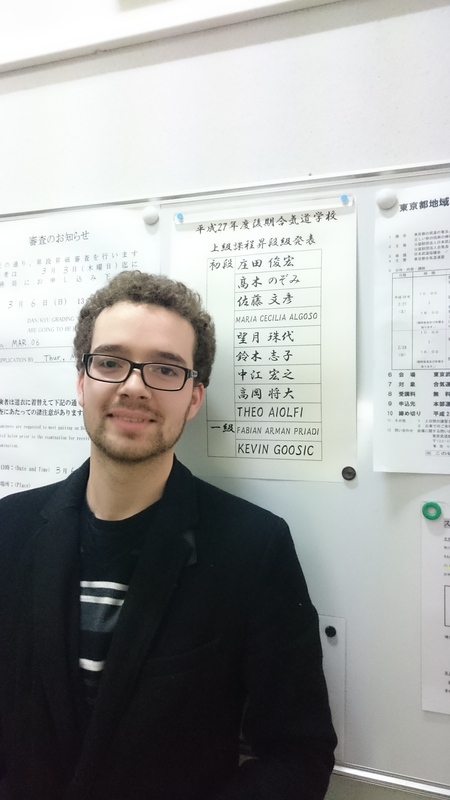 The petition was run between 29 May – 27 June 2014 and 147 people responded: 50% UCL students, 35% UCL Alumni and staff, 15% public. 67% of the response was from people who were current members of the Bloomsbury Fitness centre. Responses came from 10 different martial art and other dojo-using activities and from dojo-using individuals. Because of the time of year at which the petition was run, this will be a substantial undercount of the numbers affected, particularly of students. 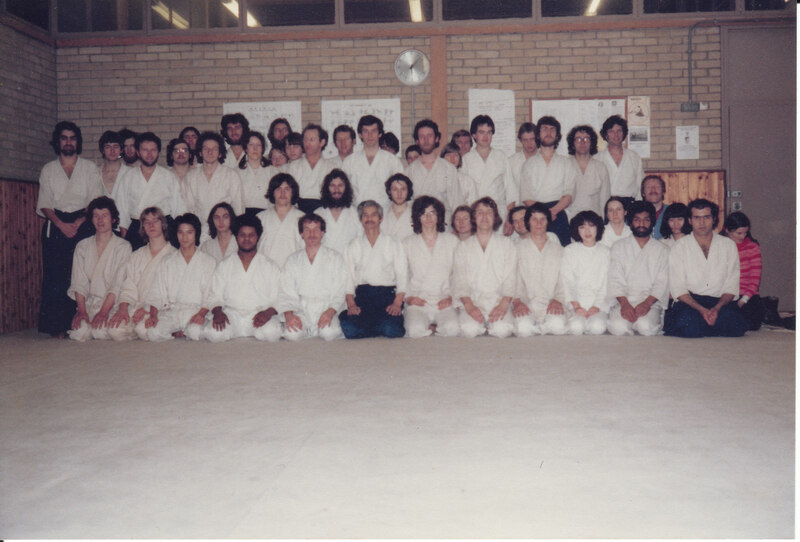 The photos below (1-4) show the Dojo over the years between 1978 and 2013. 1. 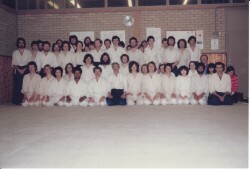 1978 The original “Judo Room” on the 3rd floor of the CCB. Class with Sekiya Sensei. 2. 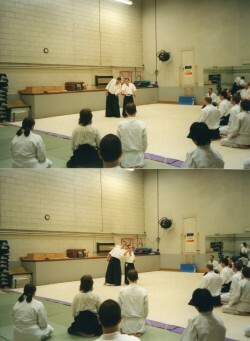 1998 The same room, now named the Dojo and a part of the Bloomsbury Fitness Centre. 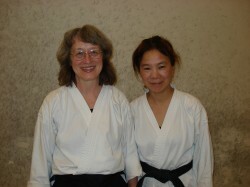 Course with Ken Cottier Sensei. 3. 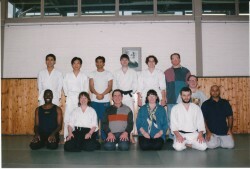 Bloomsbury Fitness Dojo 2003 – 2013. 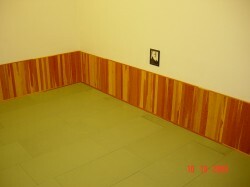 In 2003 the Dojo was transferred to the 4th floor, due to the BF’s ‘Phase One’ gym expansion. 4. 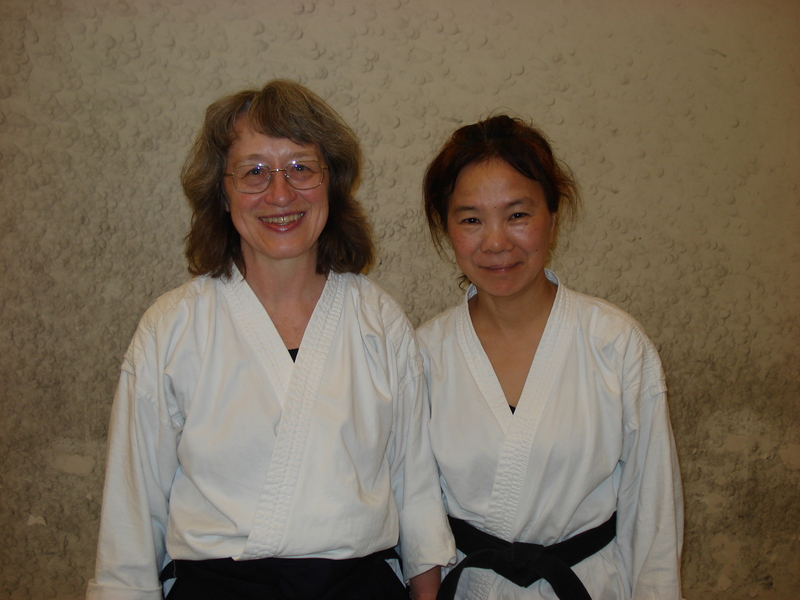 Bloomsbury Fitness Dojo 11 December 2013. 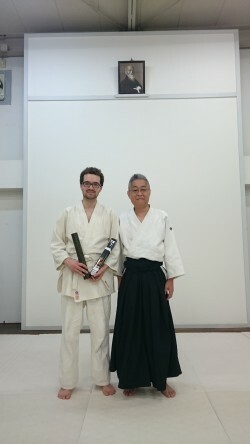 The last Aikido class in the traditional Dojo.